The meeting of nearly 200 governments in Peru later this year for a major UN climate change summit must produce the first draft of a global deal to cut emissions, the country’s environment minister says. Speaking to the Guardian, Manuel Pulgar-Vidal said he was aware that slow progress at the last round of talks in Warsaw, Poland, meant significant progress is needed in key areas including climate financing and how to tackle greenhouse gas emissions from deforestation. The meeting in Lima in December is a staging point towards a crunch summit in Paris in 2015 when it is hoped world leaders will agree, for the first time, a global deal on cutting emissions that includes both rich and poor countries. 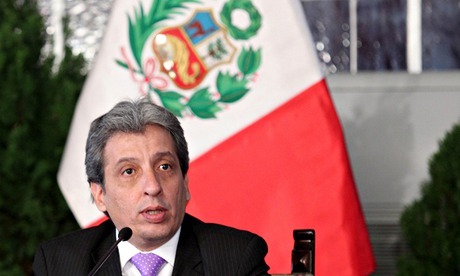 “If what we want by Paris 2015 is a new binding global climactic agreement, then what we need to produce in Lima is a solid working draft,” said Pulgar-Vidal. “Significant progress” would also need to be made in Lima, he said, on the Green Climate Fund (a mechanism to transfer money from the developed to the developing world), the issue of “loss and damage”(whether rich countries should pay poor ones for damage caused by climate change) and a UN scheme to tackle emissions caused by forests being cleared. He said he was optimistic but realistic about the meeting but insisted its success would depend on the “political will” of the heads of state who attend the preceding UN climate summit in New York in September. “The UN secretary general’s idea is precisely that the presidents bring the political will to give the COP the momentum it needs to be sufficiently successful and to count on the political support to make a decision,” Pulgar-Vidal said. Peru has a lot to lose from climate change. People in the Amazon region, the Andes mountains and on its arid coast are already feeling the impact, and the country is one of the most biodiverse on Earth. 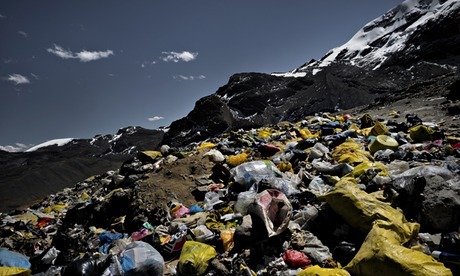 It has the world’s largest concentration of tropical glaciers, but has already lost 39% of them due to a 0.7C temperature rise in the Andes between 1939 and 2006. Peru has the world’s fourth largest area of rainforest and deforestation accounts for more than 40% of the country’scarbon emissions. Approximately 20% of emissions are generated by ranching and farming, the minister said. “The priority is obviously the forest and we are working out the state of the forest,” Pulgar-Vidal said. His ministry is working with the Carnegie Institution for Science to use state-of-the art technology to map the country’s extensive tropical forest and scientifically measure its carbon stocks. “People must understand that the standing forest has value and rewarding ecosystem services can lead to a change in behaviour, the issues are complex but we have clear strategies to tackle them,” he said of schemes including financial compensation for indigenous communities who conserve the rainforest and attempts to involve the private sector in forest preservation. But illicit logging and an exponential increase in illegal gold mining in the Amazon since the 2008 global economic crisis present the biggest threats to Peru’s forest cover. Pulgar-Vidal says an action plan to ban illicit materials and regulate miners are in place, but changes will take time.